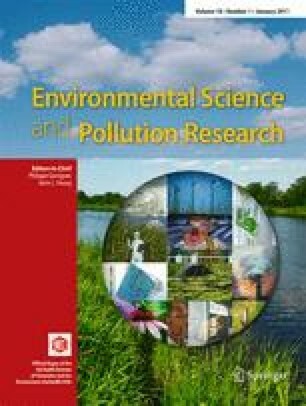 This study aims at evaluating (a) whether concentrations of a suite of elements in mosses sampled in the arctic region around Zackenberg reflect background concentrations useful for estimating pollution levels in industrialized parts of the northern hemisphere as is attempted, e.g. in the framework of the UNECE ICP Vegetation monitoring programme, and (b) whether there are any influences from Zackenberg research station detectable in these concentrations. Two moss species were sampled according to guidelines used in the UNECE ICP Vegetation programme. Samples were analysed for 195Pt at low resolution, 27Al, 52Cr, 65Cu, 66Zn, 95Mo, 111Cd, 118Sn, 121Sb and 208Pb at medium resolution and 75As at high resolution on an Element 2 inductively coupled plasma sector field mass spectrometer. Except for Al, As and Cr, data from Zackenberg showed significantly lower mean element concentrations than those reported in comparable studies from all over the world including those from other Arctic environments. Minimum concentrations in Zackenberg mosses were consistently below all values reported so far for all elements analysed. The results of a PCA suggested only a slight impact from Zackenberg research station on concentrations of Cd, Mo and Zn in moss. We conclude that the sites in Zackenberg can be considered true background sites providing baseline concentrations of at least eight elements for comparable monitoring studies. This project was funded by the Austrian Federal Ministry of Science and Research, within the research programmes ‘Sparkling Science’ and FERMAP (Franz Josef Land Environmental Research, Monitoring and Assessment Programme). We like to thank three anonymous reviewers for valuable comments and all the people from Zackenberg research station for hosting the Austrian team and providing us a pleasant stay.